A decade after the death of an American TV star, a young actor reminisces the written correspondence he once shared with the former, as well as the impact those letters had on both their lives. 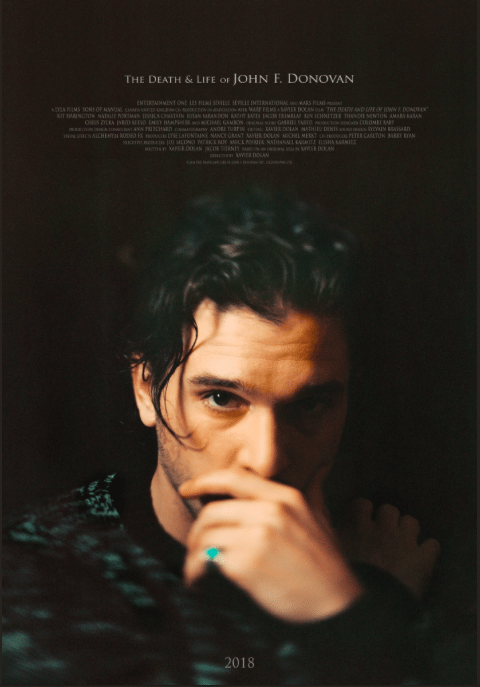 The Death and Life of John F. Donovan features a cast that includes Kit Harington, Jessica Chastain, Kathy Bates, Susan Sarandon, Jacob Tremblay, Natalie Portman, Jared Keeso, Susie Almgren, Thandie Newton, Bella Thorne, Sarah Gadon, Michael Gambon, and Ben Schnetzer. It is expected for release in 2018.